Bangalore as a city is known for its penchant for great food and good shopping. Weekends are when everyone (including one’s house help) takes the time to wind down with some good food and shopping. This is one city where men too seem to give in to some regular retail therapy. With the start-up junta populating the city, investor meetings and regular working brunches call for good power dressing for men as well. The modern Indian man is now investing time in looking good. Gone are the days when it was just women who had to look their best. An ever-increasing social media presence and the need to stand out from the crowd is making the metrosexual male spend time in choosing what looks good and investing in brands that meet his expectations. You have brands that are specifically talking to men in grooming and fashion. This growing trend is being seen as a sign of the city’s fashion progress. Bangalore has some of the world’s best fashion brands for men, putting in their presence in malls like Phoenix Market City and VR Mall in Whitefield, UB City Mall, 1 MG – Lido Mall, Vega City Mall and Bangalore Central to name a few. 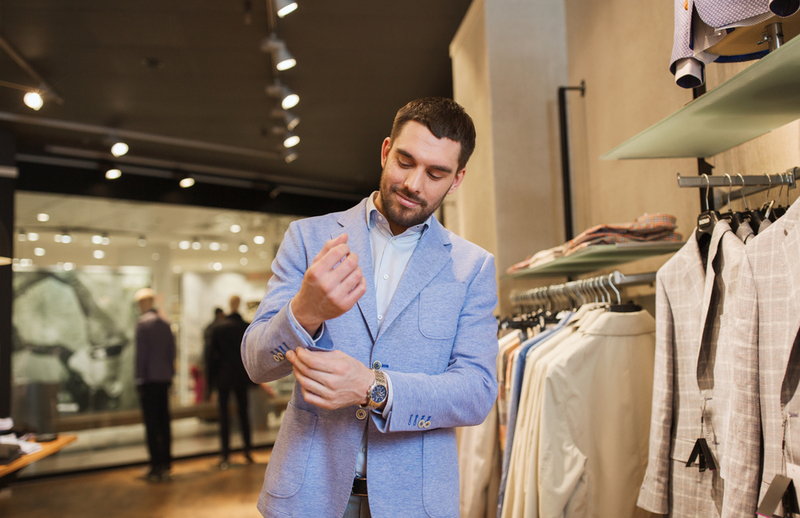 These malls host brands like Louis Philippe, Nautica, Levis, Gap, UCB, Zara for Men, Zodiac, Tommy Hilfiger, Raymond, Van Heusen etc that are well known for great options for menswear and style. Men are now conscious of carrying the right shoes and bags along with a great looking tie and blazer. The festive season will now bring with it a shower of offers and great discounts at all of Bangalore’s malls. Men, what are you waiting for…. Suit Up!